Mr Trump's move came on the 27th day of the US's longest-ever federal shutdown. 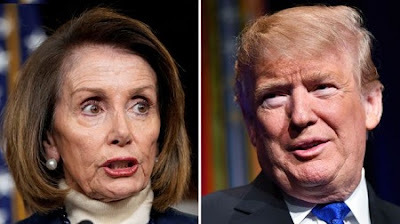 Mr Trump's cancellation of the trip emerged less than an hour before the Democratic speaker of the House of Representatives was scheduled to leave on Thursday afternoon, US media say. "I also feel that, during this period, it would be better if you were in Washington negotiating with me and joining the Strong Border Security movement to end the Shutdown," Mr Trump wrote.